On Wednesday morning as the US election results were rolling in I was cloistered away in the training room of a big city office. I was talking to employees about mental health and wellbeing. 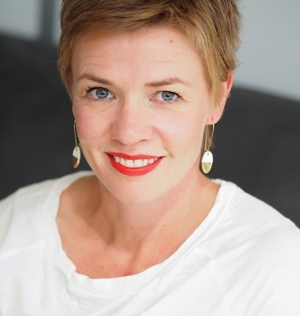 About diversity, self care and the importance of managing your emotions for your psychological health. Meanwhile all hell was breaking loose online. Shocked and horrified was the theme. For many the US election result was unexpected. People were angry and upset. It was a natural response to unexpected news and the emotion was consistent with the hyperbole of the election lead up. My social media was filling with distress, with a worrying theme. Fear and anxiety is normal. We want to protect our kids from things we feel may threaten or harm. But the contagion of worry, the explosion of anxiety was spreading to our kids. Kids who don’t yet have the perspective or life experience to know what’s worth worrying about and what’s not. It’s from Stephen Covey’s bestselling book, ‘The 7 Habits of Highly Effective People.’ This simple image reminds us that there are events in life that worry, bother and frustrate us. These sit in our ‘Circle of Concern.’ They effect us but we cannot change them. We cannot change the weather. We cannot change others’ attitudes. We cannot change the result of the US election, as frustrating as that may be. 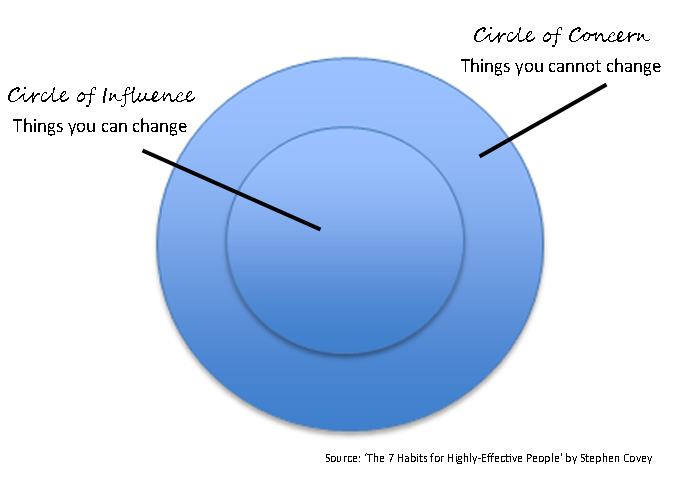 We also have a ‘Circle of Influence.’ It’s where you find everything we can change. We can change our behaviour. The Circles of Influence and Concern are a reminder to adults and kids alike that worry and distress is not a solution. Anger at things we cannot control just makes us angry. Sadness at a turn of events might be natural but stay there too long and it’s hard to move on. Hang out in your Circle of Concern and you let worry and anxiety consume you. Your problems get bigger. Your worries overwhelming. You are helpless in the face of a world you cannot change. You Circle of Concern is passive place. A reactive place. It’s not where you go to be happy and well. Shift to your Circle of Influence and you find power. In your Circle of Influence you are in charge. You have control. You have choice. Focus on your Circle of Influence and the things you can change and you discover that you cannot compel others to be kind, but you can be kind. You cannot convince others to be brave, but you can be brave. You cannot change what happens in the world, but you can change what happens in your world. It’s natural for parents to worry and fret about the future our children will inherit. It’s part and parcel of the parenting gig. A gig we signed up for. We’ve had 20, 30, 40 years to get used to the vagaries of life. Our kids are newcomers. They need our help and guidance. They need to know that life may not always hand us the result we want but they have the power to choose their response. To choose how they think, how they feel and how they act. We can give our kids the skills to believe they have control in a world that seems out of control. Do so and we give them power. Do so and we give them wellbeing. Do so and we give them psychological health. That’s how I’m responding when my kids ask me about Trump’s victory in the US Election.